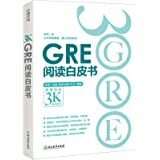 Developed by Manhattan Prep’s high-caliber GRE instructors, the 3rd edition GRE strategy guides have been updated to provide students with in-depth instruction in the test’s principal content areas. 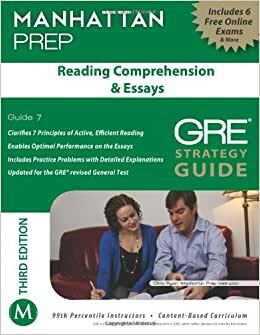 Written by Manhattan Prep’s 99th percentile GRE instructors, the Reading Comprehension & Essays Guide provides a comprehensive approach to Reading Comprehension passages and questions on the GRE. It contains practical techniques for grasping difficult, unfamiliar content and perceiving passage structure rapidly and will teach you how to attack questions through effective classification and analysis. Each chapter explains core principles and builds fundamental skills through numerous, in-depth examples and exercises. The chapter on Essays equips you to write excellent responses on the Analytical Writing section of the GRE, while handy analytical tools allow you to identify critical flaws in given arguments. Purchase of this book includes one year of access to 6 of Manhattan GRE’s online practice exams. like the print and the paper, truly be the edition I want.